Amidst puppy shenanigans and lots of planning for a big year ahead at Natural Comfort Kitchen, I’ve put off the simple task of wrapping up a whole year of cooking a gratin a week. The challenge began here, with a simple and unexpected cabbage gratin. Inexpensive ingredients–green cabbage, AP flour, some dairy–transformed into something you didn’t know was so easy to do at home. After a year of getting to know author and chef Deborah Madison and her style (at least in this book), I’m not surprised that the chapter ends exactly the same way it started. 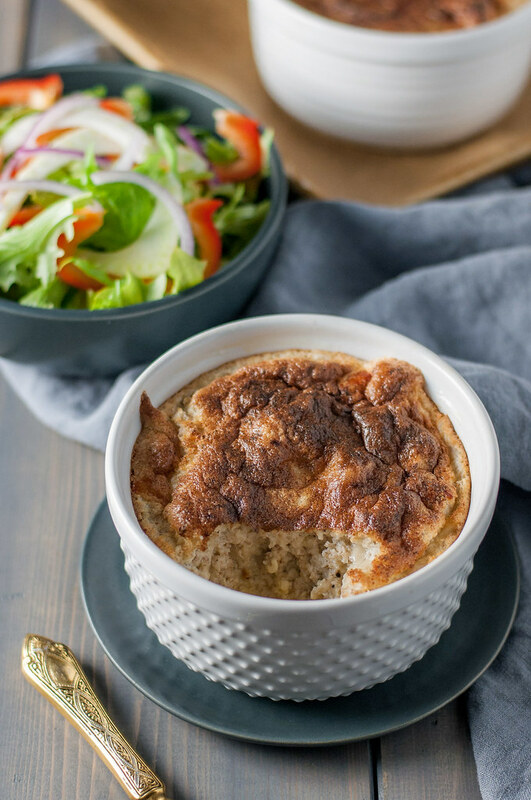 Humble bread crumbs, cheese, and eggs pouffed into individual souffles that you didn’t know were in your wheelhouse of cooking skills. Mid-“challenge”, I had a much less successful souffle experience. The vegetable souffle wasn’t even worthy of a blog post, after failing to rise. It tasted…fine…but I chopped the veggies too large and I think they were just too wet, weighing down the egg whites and keeping them from doing their leavening. Scarred by that experience, I procrastinated the black pepper Gruyere souffle. I didn’t want to end this journey on a flat note–literally. However, I’m a sucker for this list-based challenge and the chance to cross something off as an accomplishment, so I braced myself and got my booty into the kitchen. 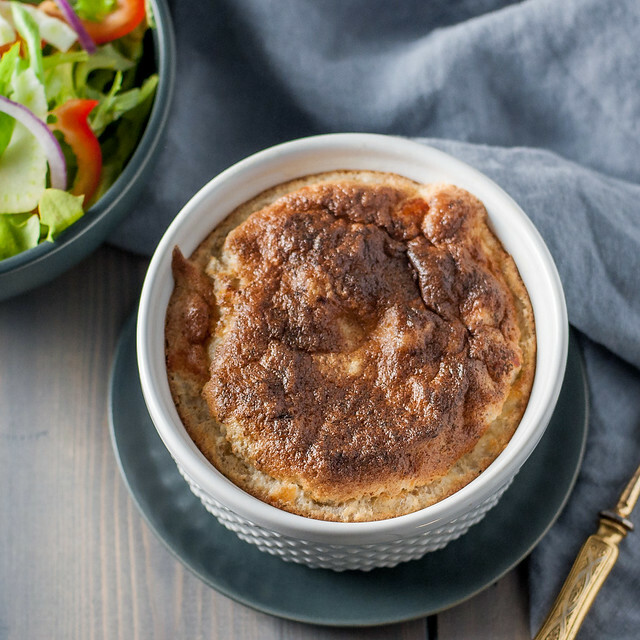 Let me just say, if you’re scared of souffle, heck, if you don’t even know what a souffle is, this is your recipe. Light, fluffy bread crumbs don’t inhibit rising in the least, so if you just get the egg whites right you’ve got this one in the bag. Spicy black pepper and nutty Gruyere shine through a short ingredient list, and as I burned my tongue on the first few bites of my souffle, I couldn’t help but remember the glory of the similarly flavored popovers on my recent honeymoon in Austin, at Foreign and Domestic. Perhaps you’ve seen them on Food Network. I’ve never made a popover, but souffle seems like a comparable challenge. You work to bring everything together, but sometimes it’s about more than the ingredient list or following the steps. It’s about the prayers you say over your moody oven as you check inside (without opening the door!) every 45 seconds, adjusting the temp and watching the oven thermometer, when you’d probably be better off just walking away with a glass of wine. 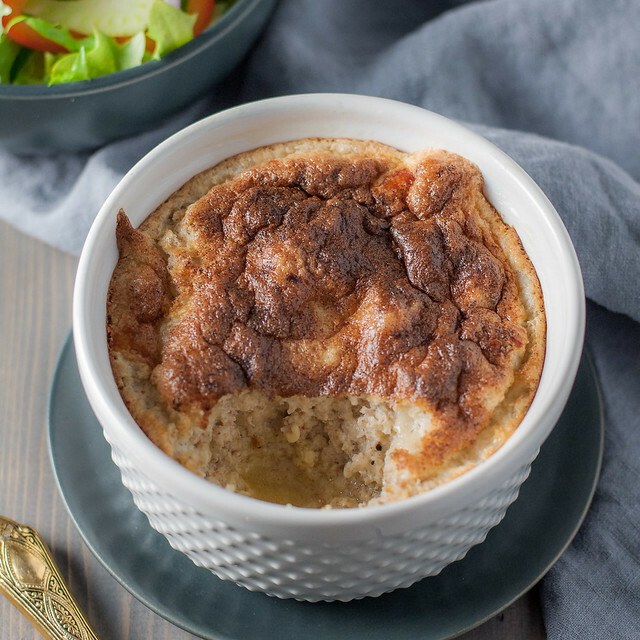 I’ll be so bold as to say I think there’s a very good chance your cheesy Gruyere souffle will rise, but even if it doesn’t, it will be delicious and warm and salty and light, just like that doomed vegetable souffle was for me. I made these souffles two days in a row, and the photography is from my first attempt. Still puffed, still delicious, but a little too dark on top. Sorry. After realizing how difficult it is to catch souffle in all its glory in a quick still shot, I didn’t have it in me to set up for photos on day two (especially with a puppy very interested in this low-to-the-ground food). The recipe recommends moving your oven rack just below the middle position, which should produce beautiful, golden tops and perfectly tender souffle. So there you have it friends. Gratin challenge complete! It’s the perfect, cold season to revisit any and all of the previous gratins, and while it’s so difficult to pick favorites, I recommend starting with the cabbage gratin, Swiss chard gratin with roasted red pepper sauce, or cheddar sweet corn pie, each of which showcases a different gratin technique. What’s next, you ask? I’m not swearing off cookbooks; far from it, as they’re my favorite way to plan weekly meals and develop new technical skills in the kitchen (and look at pretty pictures). But, here on the blog, I’m feeling called to TEACH. I’m a self-taught, imperfect, enthusiastic home cook, and I want to connect with other home cooks, from the novice to the seasoned, from those of you who just want to eat a healthy, budget-friendly dinner to those of you who want to get adventurous and discover the best way to poach an egg. You’ll definitely know when the series kicks off, but for extra early updates, sign up for NCK’s weekly email. 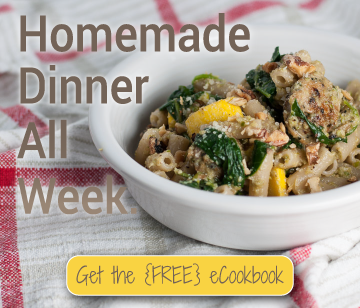 I promise not to harass you more than once a week, and you get a free “dinner for a week” eCookbook to boot. And if you haven’t yet, go put in your two cents on what how-to posts you want to see this year! Preheat the oven to 375 (F) and place rack just below middle position. Butter two 2-cup ramekins (I have these, found at Target stores) and place on a rimmed baking sheet. Place egg whites in a clean glass or stainless (not plastic) medium mixing bowl, or the bowl of a stand mixer. In a small saucepan, heat milk over medium high until it just boils. Meanwhile, combine bread crumbs, cayenne, salt, and about 10 grinds of black pepper in another medium mixing bowl. Add milk to the bowl and allow to cool for a few minutes. Stir in cheese, mustard, and egg yolks until well mixed. Using a hand mixer or the whisk attachment of the stand mixer, beat egg whites with a pinch of salt on medium high speed until they form soft peaks. The peaks should fall soon after forming. Fold whites very gently into the bread crumb mixture, but make sure to combine well to avoid pockets of egg in your souffle. Pour an equal amount of the batter into each ramekin and bake until puffy and golden brown on top, about 25 minutes. Serve right away for the most impressive results (although the souffles still taste delicious after deflating slightly). To make fresh bread crumbs, remove crusts from 3 or 4 slices of bread, and tear or cut into chunks. Place bread in food processor and pulse until coarse crumbs form. You can use fresh bread if it's a firm, crusty variety, or use bread that has gone a bit stale. Be sure that no shell or yolk gets into the egg whites, and that you're working with clean hands, bowl, and mixer. Otherwise, the whites might never turn opaque and fluffy. See this post for more info. Recipe adapted from The New Vegetarian Cooking for Everyone. 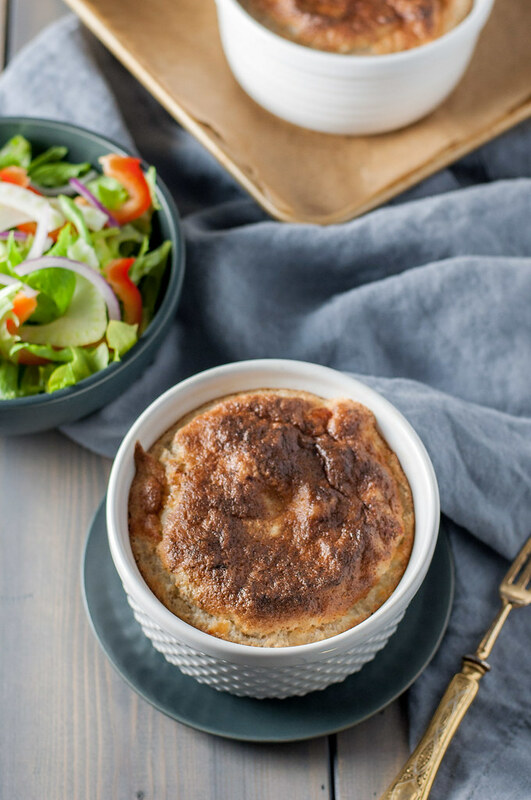 Note: This page contains Amazon affiliate links to products on Amazon that will make cooking black pepper Gruyere souffle oh-so-enjoyable. There’s no extra cost to you for using the links to shop for these products and all your other Amazon needs, and you support NCK in the process. Thank you! 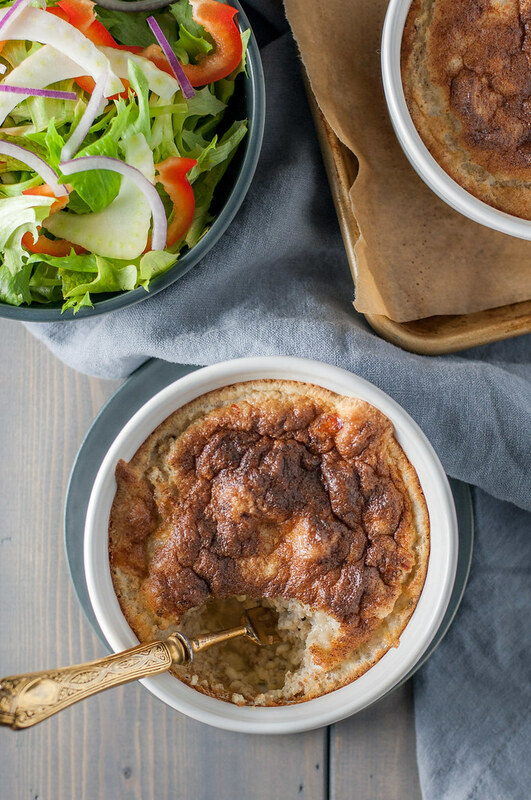 I’ve never made a souffle, I always thought the endeavor would end up in frustration, everybody has heard stories about souffles who came to nothing…. But yours sounds “madeble” and I love the separate ramekins, somehow I imagine things cannot get so wrong when the souffle is small. Adina, it’s true. It totally redeemed my previous failure, and I’m sure you’d have success. Have a great weekend!